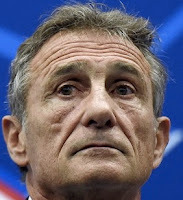 More embarrassment for Guy Noves and the FFR? Last Sunday Castres winger, David Smith, was called into France’s squad ahead of this weekend’s 6N fixture against Wales, only for it to emerge that Smith, who was born and raised in Samoa, had played for New Zealand sevens in a tournament in 2008 and was therefore ineligible for France. And today it was discovered that Matt Giteau, called into the squad to replace Smith, is also ineligible. “He’s been playing in France since 2011, so we thought it would be okay,” Noves told L’Equipe, the French sports newspaper. France have today called little-known Fijian winger, Joe Rokocoko of Racing Metro 92, into the squad.